I may have said this once or twice, but I swear I mean it this time… this may be the best thing I’ve ever made. Seriously. 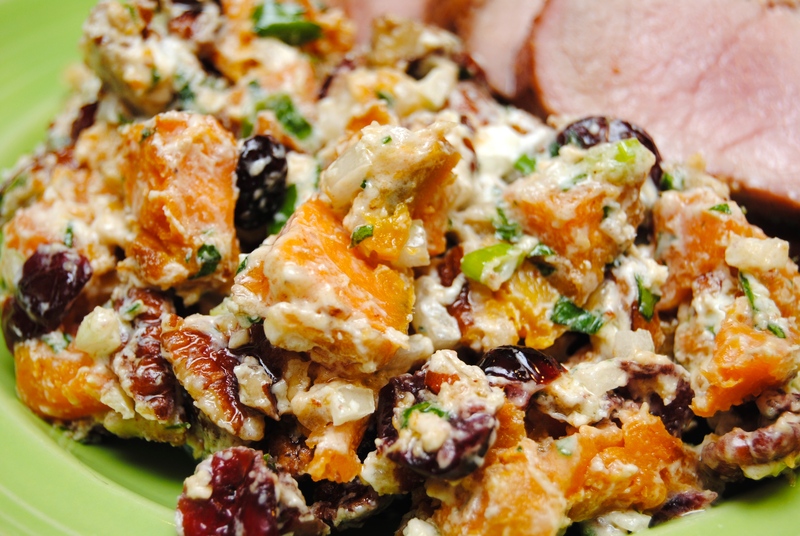 I was partly inspired by a sweet potato salad dish made by the wife of one of my co-workers. Hers is made with gorgonzola and red peppers. So yesterday when I was trying to come up with something to do with my sweet potatoes, her idea of mixing cheese with them in salad form came to mind. As some of you may know, due to my oldest son’s allergies, tree nuts are off limits in my house. So when we received his diagnosis last year, I put my pecans up on the highest shelf of my pantry, not sure if I’d ever get to use them again (sniff, sniff). But this week Brogan happens to be at the beach with his grandparents, and so…. I am free to use nuts once again! 1.) Preheat oven to 450 degrees. 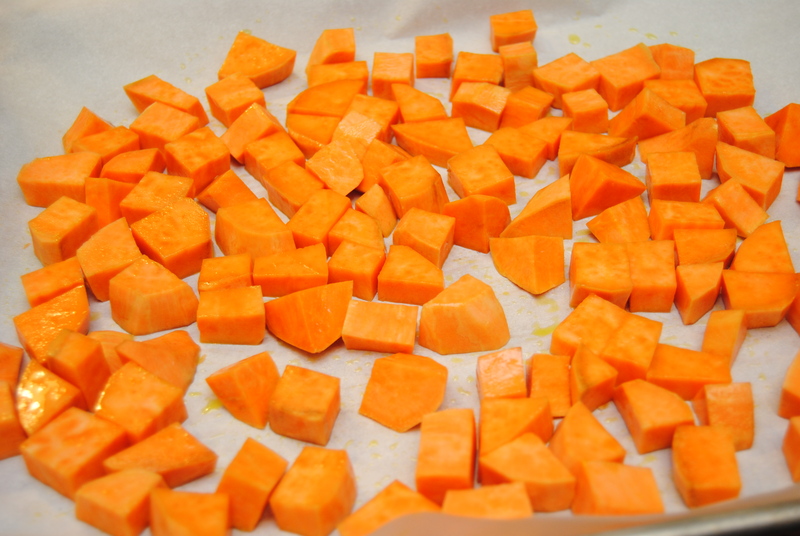 Place sweet potatoes on a parchment lined baking sheet and toss with a little olive oil. Roast for about 30 minutes, or until sweet potatoes are fork-tender. 2.) While sweet potatoes are cooking, dice your onions. 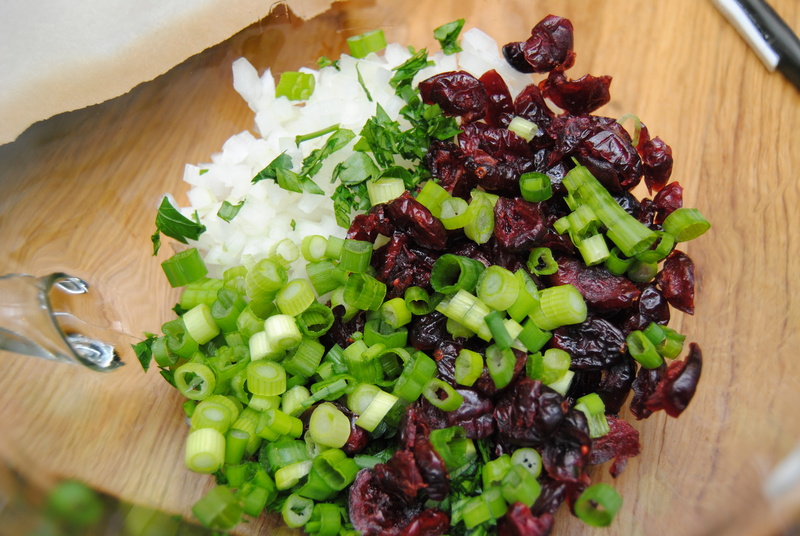 Place all dressing ingredients in a small bowl and whisk until emulsified. 3.) 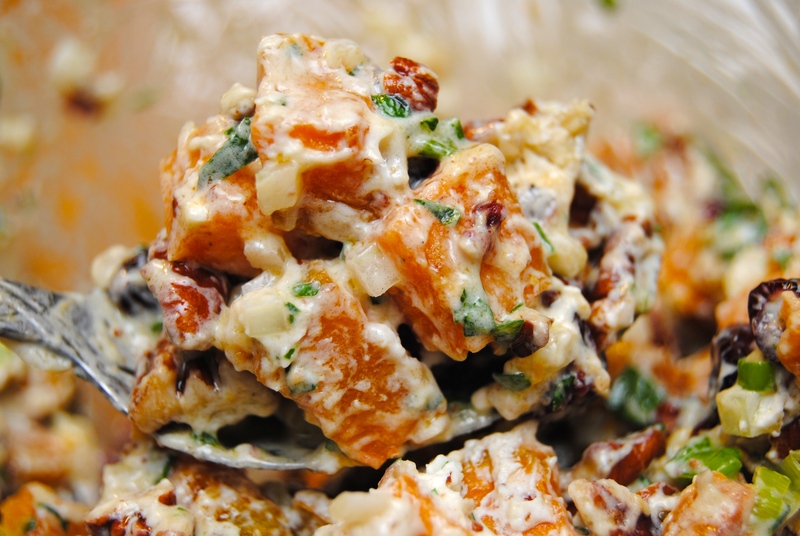 In a large mixing bowl, add onions, cranberries, parsley, cooked sweet potatoes, toasted pecans and goat cheese. Pour dressing over top and stir until well combined. Mixing ingredients while the potatoes and pecans are still warm will make the goat cheese nice and creamy. Serve warm or cold. This entry was posted in Food and tagged Cranberries, Goat cheese, Pecans, Salad, Side dish, Spring, Sweet potatoes by biscuitsncrazy. Bookmark the permalink.